Capital Dredging, Beach Nourishment, Maintenance Dredging, Boulder Removal & Ship Wreck Removal at Ennore. To develop harbour basin to handle cape size vessels (150000 DWT). Total dredging quantity 2.86Million M3 of soft soil, 0.25Million M3 of top soil and 27,500M3 of boulders. DDIL deploys newly built CSD Dharti XI (IHC 6518C) and Backhoe Dredger Dharti XIV for the dredging & boulder removal works respectively. CSD Dharti XI dredges sand from harbor basin and transports dredged material through pipeline for Beach Nourishment on the northern side of the Port. TSHD Irian Jaya deployed for maintenance dredging. •Dredging 2.86 Million M3 of soft soil, 0.25 Million M3 of top soil and 27,500M3 of boulders. •5 Kms shore pipeline disposes entire dredged material for beach nourishment. •Pre and post dredging surveys in the presence of Port representatives and the representatives from National Hydrographic Office (NHO), Dehradun, India. •Removal of top soil and boulders by land moving excavators and transporting the material to the low lying areas identified by the Employer. 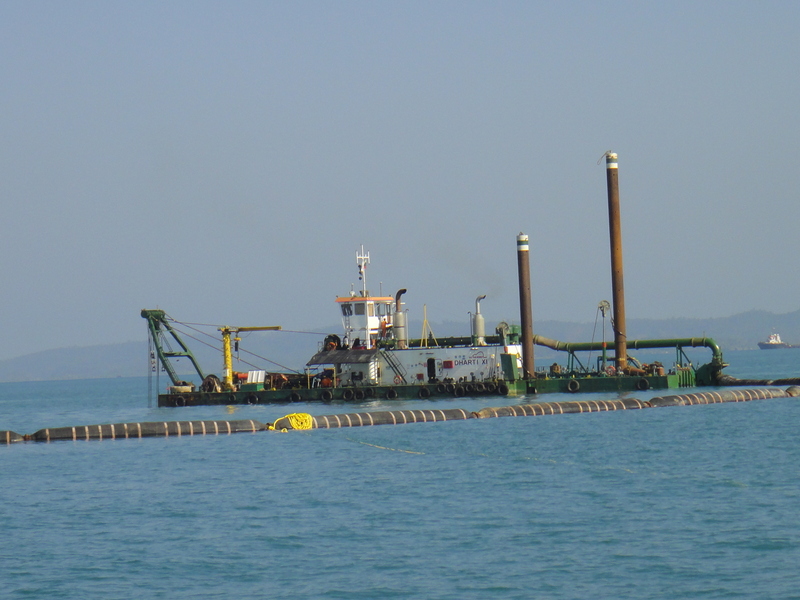 •Bags contract for Maintenance dredging in the remaining harbor basin. •Bags contract for removal of remaining boulders and sunken Barge wreck at deeper depths. •Project completion in compliance with high standards of safety.